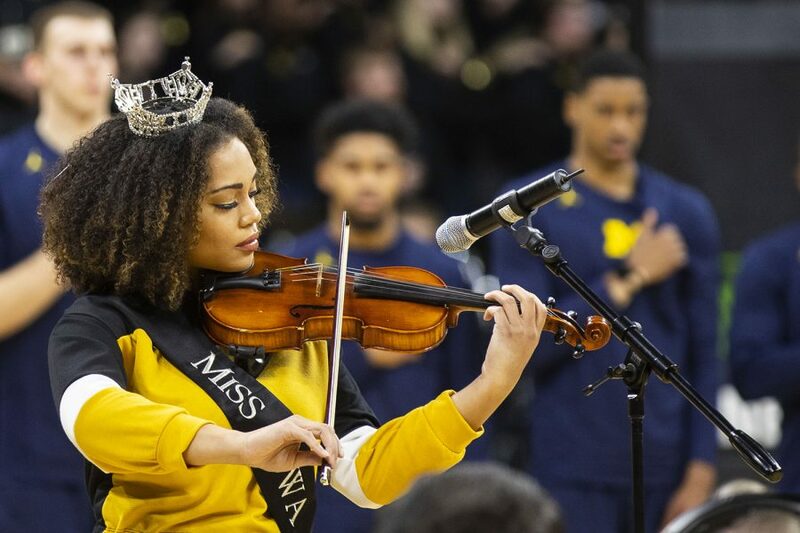 2018 Miss Iowa Mikhayla Hughes-Shaw performs the national anthem on violin during the Iowa/Michigan men's basketball game at Carver-Hawkeye Arena on Friday, February 1, 2019. 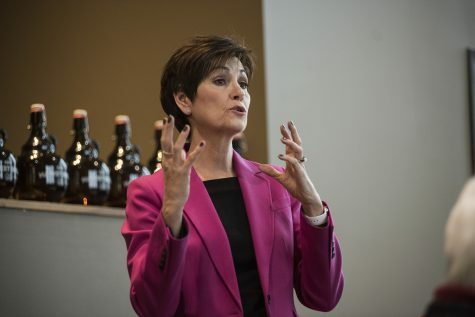 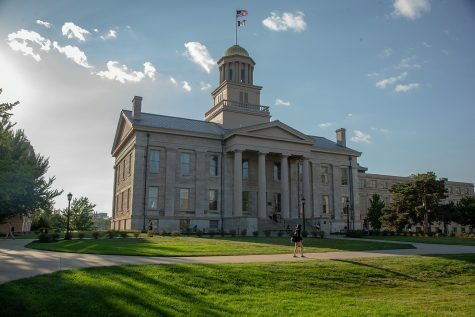 The Hawkeyes took down the No. 5 ranked Wolverines, 74-59.